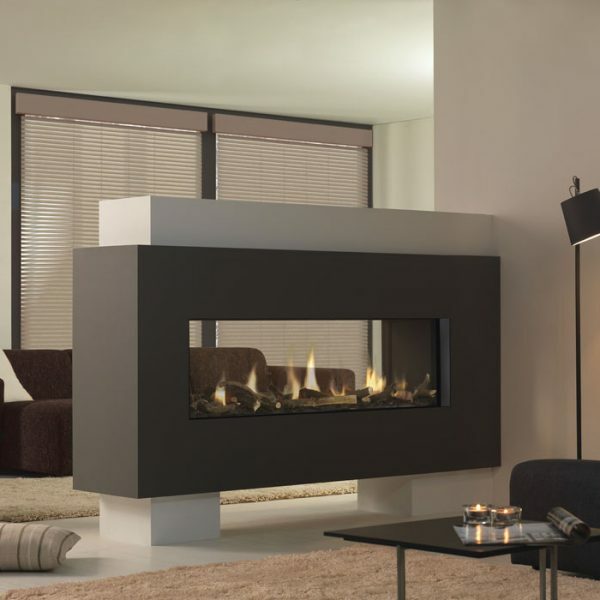 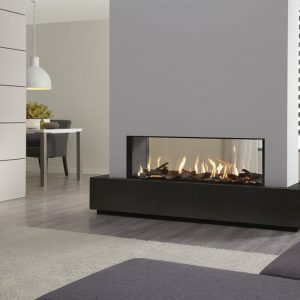 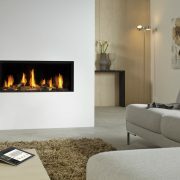 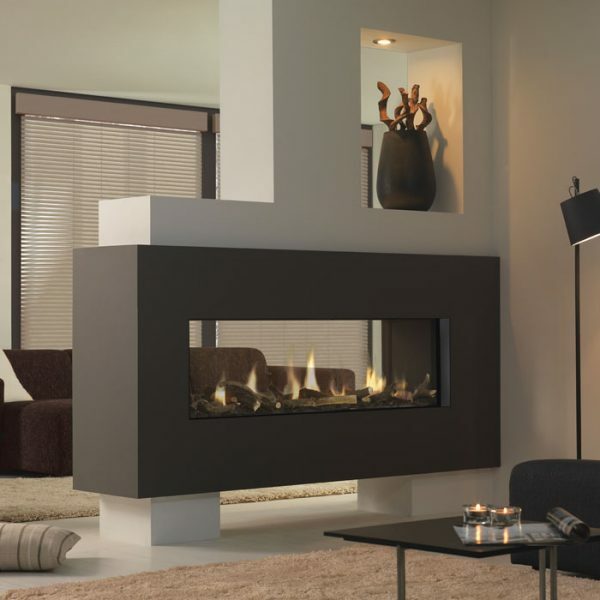 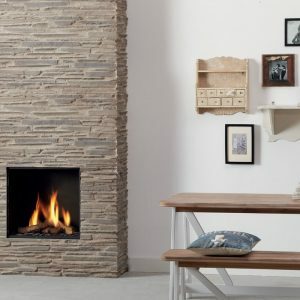 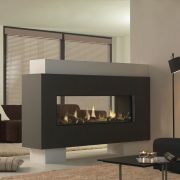 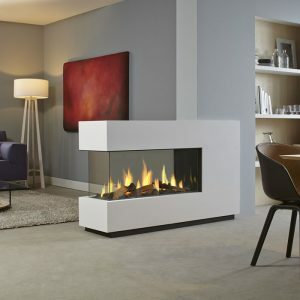 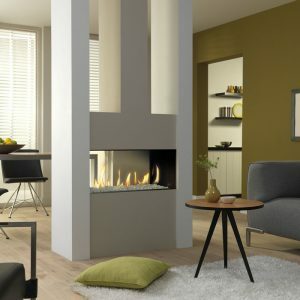 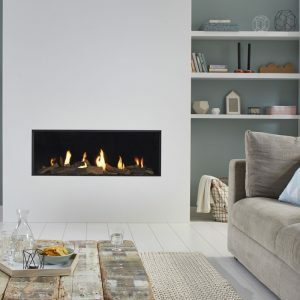 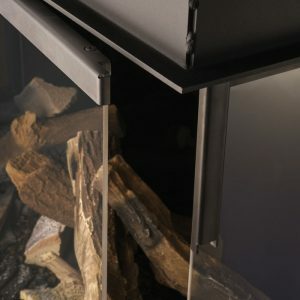 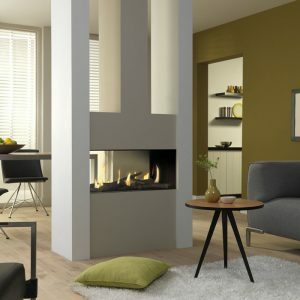 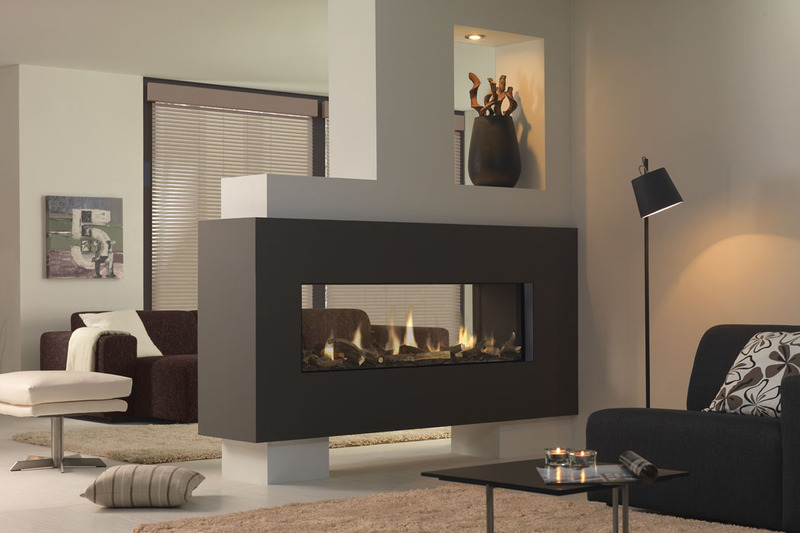 The Metro 150XT Tunnel is a see-through, room dividing gas fire. 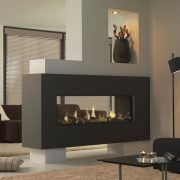 It is 1.5 metres wide and features a fire bed of dazzling logs set off by a border of white stones. 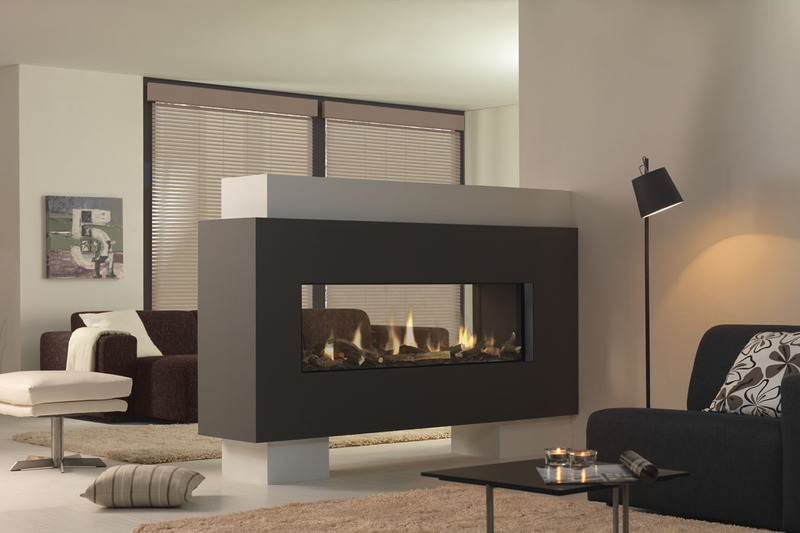 The interior is in mirrored Ceraglass, creating visual depth to the flame picture. 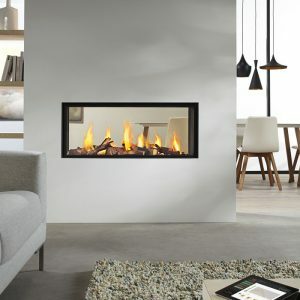 It has a plentiful heat output of 10.8 kW with an efficiency rating of 78%, making it a cost effective addition to your home. 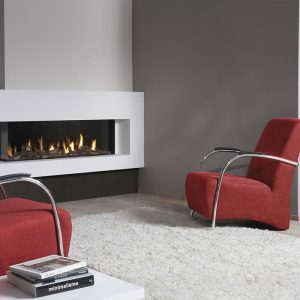 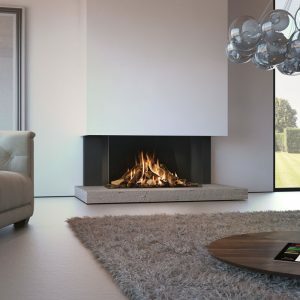 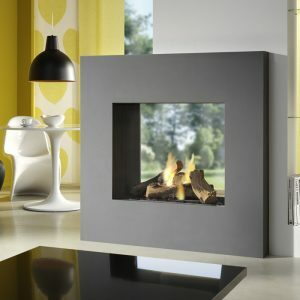 The Dru Metro 150XT Tunnel designer gas fire is equipped with the clever and energy-efficient Eco Wave system.